Despite of the efforts of pharmaceutical research and industry to find new medicaments, nature offers many substances with healing properties-beta-glucans belong to this group of compounds. 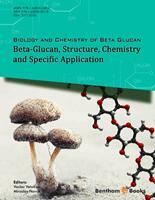 The second volume of the eBook Biology and Chemistry of Beta-Glucan, edited by Vaclav Vetvicka and Miroslav Novak provides new knowledge about these important polysaccharides. In order to understand the role of beta-glucans in nature and to detect their healing properties and the mechanisms of their action, it is necessary to control the purity and to determine their composition and structure. The first chapter of this eBook presents modern chemical, spectroscopic and separation methods which are applied in structural analysis of fungal glucans. As a result of structural analyses, it can be concluded that beta-glucans of different origins vary in chain length, number and types of branching. These facts provoked the question as to how their structural properties can affect the biological activities of these polysaccharides. It is logical, therefore, that the eBook discusses the biological effects of tailored oligomers and synthetic beta-glucans. The chapter describing the use of enzymatic processes in the synthesis of these compounds appears to be very innovative. In the recent years, photodynamic therapy has become an increasingly important method of non-invasive treatment of cancer. The eBook also discusses a hypothesis of beta-glucans’ increasing impact on the photodynamic therapy. In spite of traditional medicine experience as well as many scientific papers describing the positive role of beta-glucans in protections against diseases, certain epidemiological data suggest that specific illnesses can be related to beta-glucan exposure. The fact of whether beta-glucan is an accompanying substance of these biologically active agents is questioned. The second volume of Biology and Chemistry of Beta-Glucan focuses on the strictly scientific basis not only on the effects of beta-glucan on human health, but on other possibilities of beta-glucan application, such as protection of certain important animal species against diseases. This phenomenon can be successfully exploited with exclusion of antibiotics in animal cultures. Natural products, useful in treating or preventing various diseases, have been sought throughout the history of mankind. One of the most promising molecules is ß-glucan. The polysaccharides, usually termed “ß-glucans”, and referred throughout this eBook, are non-cellulosic polymers of ß-D-glucose, with glycosidic bonds in position ß-(1-3) and with a certain portion of ß-(1-6) bound glucose molecules. ß-Glucans are isolated from numerous fungi and from sources such as seaweeds, bacteria, or cereals as well. Despite decades of research, our knowledge of ß-glucans, their structural characteristics and biological activities, is still incomplete. The fact that not all of tested ß-glucans were fully identical—ß-glucans widely differ not only in physicochemical properties, such as branching or molecular weight, but also in biological properties—further complicated the research efforts. Most of the original studies of ß-glucan effects focused on mice. Subsequently, numerous studies showed that ß-glucan has a significant immunostimulating activity in a wide variety of other species, including humans. Based on these data, it can be concluded that ß-glucan represents a type of immunostimulant that is active over the broadest spectrum of biological species and that it is one of the first immunostimulants actively spanning the whole evolutionary spectrum. ß-Glucan is therefore not only a biologically active polysaccharide with strong immunomodulating effects, but is also considered to be an evolutionary and very old stimulant of a variety of immune reactions. Thus far, numerous methods administering ß-glucan have been tested, including intraperitoneal, intramuscular, sub-cutaneous, and intravenous applications. In the last decade a renewed interest in human applications has brought about some important studies of orally-administered ß-glucan for intravenous administration was revealed to be dangerous and intramuscular administration to be painful. In spite of the fact that the introductory chapter Structural Analysis of Fungal Glucans deals with ß-glucans isolated from fungi, described methodological approaches are common for all types of ß-glucans, irrespective of their origin. In this chapter, modern chemical, spectroscopic and separation methods commonly applicable in structural analysis of (not merely fungal) glucans are summarized. Chapter Insights into the Physicochemical Characterization, Chemistry, Structure and Synthesis of (1-3,1-6)-ß-Glucans summarizes the physicochemical information of ß-glucans derived from natural sources and provides a foundation for the development of methods for the organic synthesis of ß-glucan-based oligosaccharides. Chapter Chemical Synthesis of Oligo-(1-3)-ß-D-Glucans covers the possibilities and challenges of a chemical synthesis of ß-glucans including the most effective strategies. The advantage of chemically synthesized ß-glucans consists in their precisely defining linkage types, degree of polymerization and/or degree of branching, which allows exact studies of their biological effects. In addition, the information about how to strengthen the activity of ß-glucans by conjugation with non-saccharidic derivatives are summarized there. An additional chapter, Contribution of Biocatalysis to the Synthesis of ß-(1,3)-Glucans, focuses on enzymatic and chemoenzymatic approaches that were developed over the past ten years, considering more specifically progress connected to ?-(1,3)-D-glucans. Application of natural as well as tailored enzymes for these purposes is described. The next part of our eBook deals with possible clinical effects of ß-glucans. The chapter Modulation of Photodynamic Therapy by ß-Glucans is devoted to hypothesis that ß-glucans would increase the efficacy of photodynamic therapy resulting in the profound necrosis of treated tumors and suppression of the DNA damage repair systems. Chapter Human Exposures to ß-Glucans in the Environment deals with less known effects of ß-glucans – possible negative effects of environmental exposure to ß-glucans. A review of different cellular reactions induced by ß-glucan demonstrates a complex pattern of inflammatory reactions depending upon the molecular structure, the dose, and the duration of exposure. Epidemiological data summarized in this chapter suggest that airways inflammation, atopy, hypersensitivity pneumonitis, and sarcoidosis might be related to ß-glucan exposure. The final two chapters are focused on possible commercial use of ß-glucan. Chapter ß-Glucans in Invertebrates offers theoretical reasons for the use of ß-glucan in various aquacultures by explaining the biological effects of ß-glucan on immune reactions of invertebrate animals. Subsequently, chapter The Role of Glucans in Protection of Shrimp Against Disease is focused on the efficacy of the ß-glucan administration in commercial shrimp industry. This chapter concentrates on the efficacy of the ß-glucan administration concerning types of glucans, methods of administration, shrimp species and bacterial and viral diseases as well as humoral and cellular immune responses. In the next few years, the field of natural immunomodulators in general, and ß-glucan in particular, will surely provide not only inspiration for further investigation in biomedicine, but also a number of practical applicable results. It is an objective of all the authors of this eBook to trace the progress in this field and to deliver the most relevant results in an up-to-date edition.